These days desktop computers are an endangered species. For those of us who use them at work for productive reasons, this is probably one of the few times you still use one. The rest of the time you use your phone, your tablet, your faplet, your watch or whatever other portable nonsense they're inventing these days to increase the rate of car accidents. If you're old enough though, you remember the good old days when computers were king! You might even remember trying to get Doom to run on a 386 computer, from floppy disks, only to find that you had to play it on low detail, in a window the size of a credit card. Perhaps you remember learning to type with Mavis Beacon on Windows for Workgroups at school or if you're really vintage, you may have been designing car parts in AutoCAD 11 for work, relieved that you didn't have to do your drafting by hand anymore. Whatever memories you had of that period, chances are you think of them with fondness today and maybe with the slightest twinge of sadness that you'll never have to fight with IRQ conflicts again. Why the 386? What's so special about it? 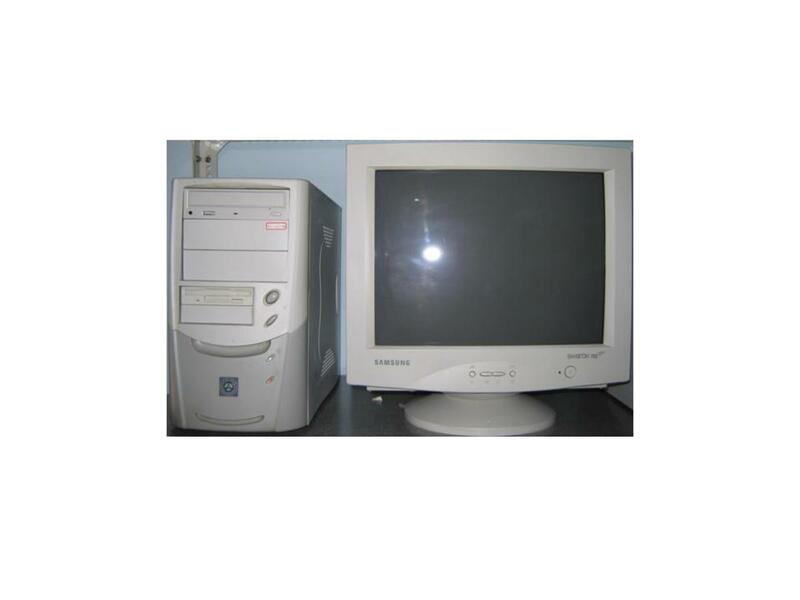 Well, this was the first decent computer you could buy, that had enough power to actually run some of the best software ever made. The reason for this is because the 386 architecture is in many ways the most direct ancestor to the modern computers of today. I'm not saying that modern computers are simply faster 386s. Far from it. However there were technological leaps and bounds between the 8086, 80186, 80286 and 80386 architecture that made those earlier designs obsolete very quickly, once the successor arrived. Since the 386 however, enough of the design philosophy was retained that software compatibility persisted for years to come. This gave the 386 a tremendous lifespan - programs that ran on it could run natively on computers as recently as 2010, when Windows XP 32 bit was still somewhat common. 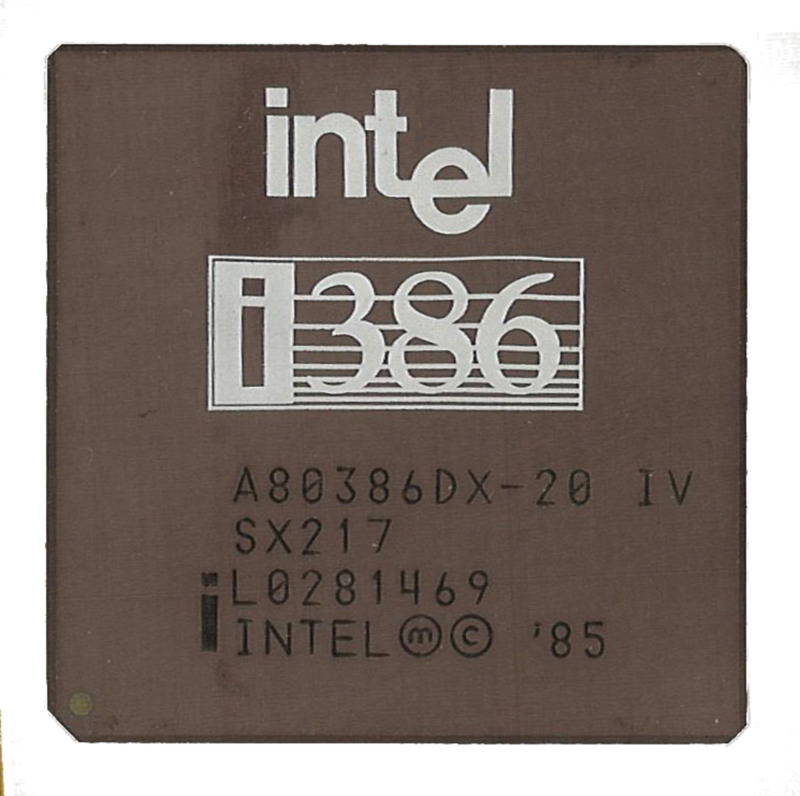 Despite the 64 bit instruction width preventing backward compatibility with the 386's 16 bit software and its layout, many other similarities live on in modern computers so the 386 provides a very solid and tangible link to the past, allowing us to experience continuity between the 2 time periods. 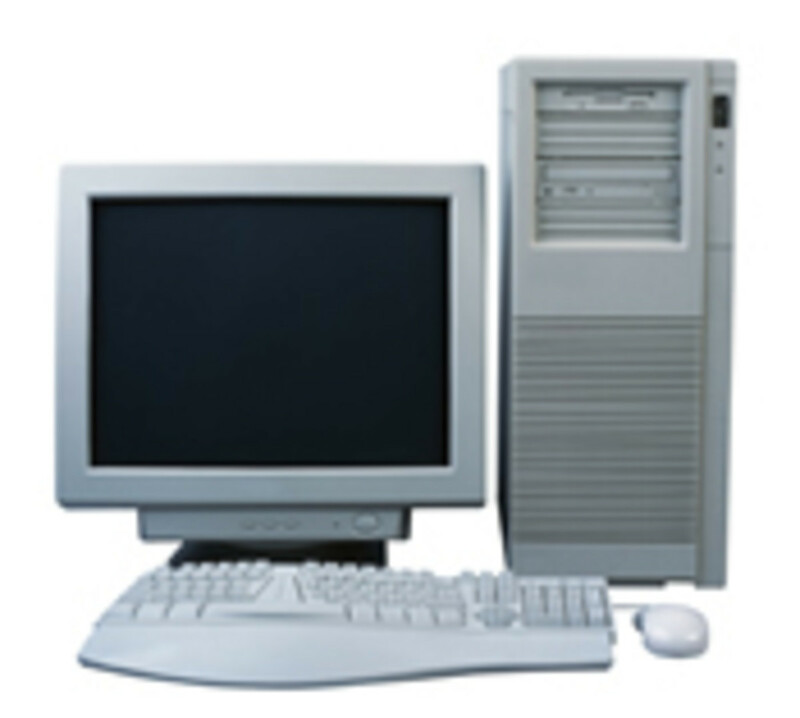 Furthermore, some of the best computer hardware was developed during the time of the 386. By "best" I don't mean fastest or most advanced of course but for the time, there were some pretty outstanding upgrade options in numerical processing, sound, video and networking, just to name a few. A basic barebones 386 computer could be enhanced so much, that it felt like upgrading an Atari 2600 to a Nintendo 64, 8-track tapes to a CD player or a toothpick to Razor Ramone... ok maybe not that much but it was pretty sweet still! Alright, let's get into it! The first step, whether you have a built computer or a pile of parts, is to figure out what hardware configuration you want to have in your computer. Do you want really good sound for DOS games? Do you want a numerical co-processor for CAD and spreadsheet programs? Do you want a network card for Windows 3.11 so you can transfer files via LAN (remember your only alternative is floppy disks). You can't even begin to set up your machine in software until you're 100% sure what the guts are going to look like. Reason being, much of the hardware back then wasn't plug'n'play so you had to configure the entire system so that all the peripheral devices played nice with each other. Making a change down the road would often screw up your finely tuned settings and create chronic issues that weren't worth fighting with. So let's go through the list of stuff you might want in your machine and what you should consider in each case. Picking a board with lots of "socketed" stuff is important because it allows freedom of choice for your chips and easy replacement when stuff dies. Socketed CPU, FPU, CACHE, BIOS, RTC just to name a few are all important. Also make sure it has a replaceable battery because a dead battery you can't replace will bring things to a grinding halt in a hurry. Even if it's not technically replaceable, if you can easily cut the leads to the battery and solder a new one on instead, that's usually not a big problem. 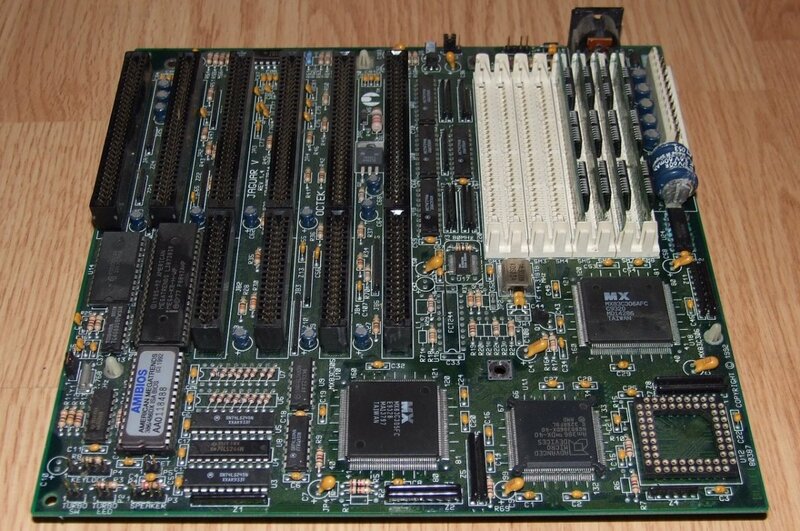 Get a late model board with an 80MHz crystal or one that doesn't limit the CPU speed. Get one with lots of ISA slots for expansion cards. Get one that can handle plenty of RAM (at least 8MB) and cache (up to 256KB). These are the typical bottlenecks you want to avoid placing on yourself. If your motherboard is preventing the rest of your hardware from operating at full potential you are pretty much SOL. If there is a socket for the CPU, that means it can be upgraded. CPUs for the 386 came in speeds ranging from 12-40 MHz, not counting some of the hybrids that followed. Then there were the SX and DX variants, the DX being the full 32 bus width, feature rich chips that were significantly more powerful than the cheaper SX variants. Really, the only thing you should know about this component is, get the fastest one you can. Get an AMD DX-40. The only catch is that sometimes, the motherboard itself is limited by the crystal oscillator frequency (small square-shaped silver protrusion on the board with a number on it). The crystal frequency is 2x the CPU frequency so if it says 66.000 MHz it means you can't do any better than 33 MHz so might as well get that CPU and call it a day unless you feel like pushing the envelope and soldering a different crystal, which could be done if you had an 80MHz crystal of the same form factor and pinout. Jokingly called the fap unit for being useless to most people, it actually stands for Floating Point Unit and allows the computer to do math with decimals. Computers back then couldn't handle decimals natively but 99% of the time that was fine because software didn't require it. If you play some really insane games like Falcon 3.0, work with any sort of CAD or need your spreadsheet software to be less sluggish, this is for you. Get the same speed chip as your CPU. 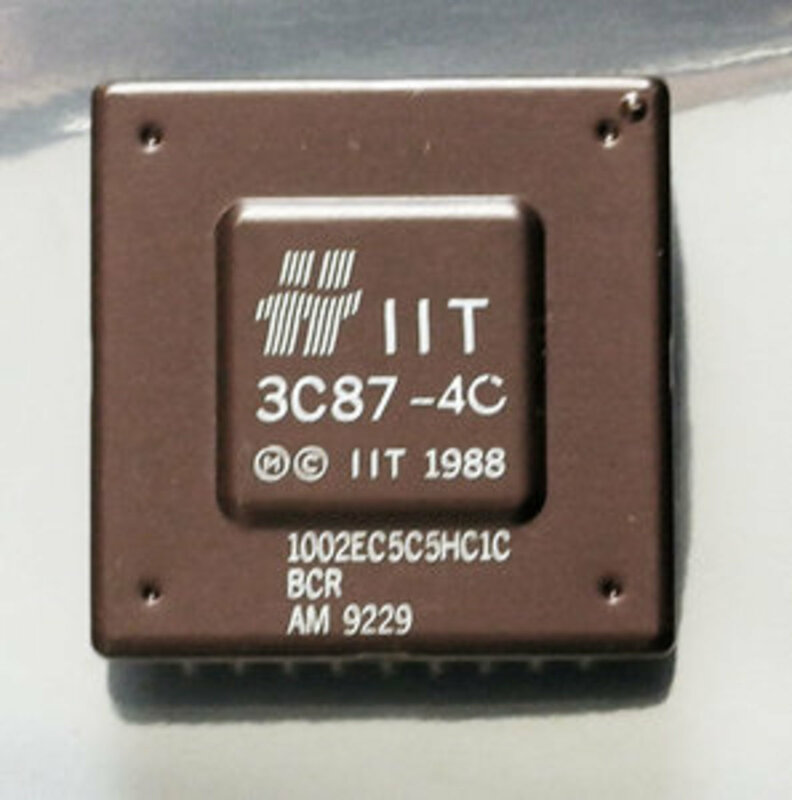 These chips are known as 80387 chips and compliment the 80386 moniker. Check out Cyrix FastMath, IIT and ULSI to name a few. Sometimes the chips will appear not to be pin compatible with the FPU socket. Don't worry, they are. 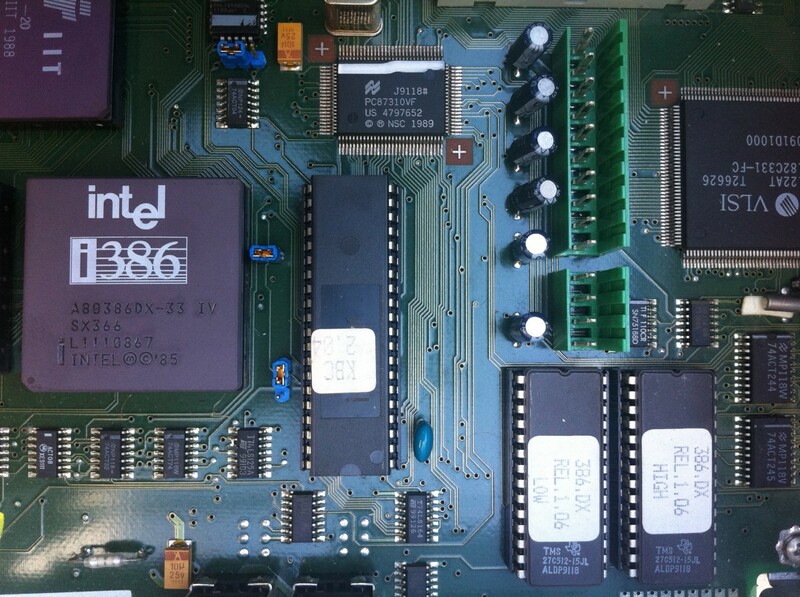 The reason for the extra pins in the socket may be due to that board supporting both 387 and Weitek co-processors. Weitek made a unique co-processor that was even faster at floating point calculations than the 387 and had some unique features as well but software compatibility for it is poor so I don't recommend it. Cache is nothing more than a much smaller amount of REALLY fast memory and it feeds right into the processor. Because it's so fast, it's the first stop the CPU makes for information. The slower RAM replenishes the cache and this tiered system of progressively slower types of memory is what helps the CPU run as fast as possible yet still remain affordable and have a relatively large capacity. Cache is usually pre-installed but sometimes it can be upgraded through sockets on the board nearby the processor. If you can get the model code off one of the existing chips you might be able to buy more chips or replace those chips with higher capacity ones. To a certain extent, increasing cache can increase CPU speed until the CPU is no longer bottlenecked but it's hard to find the right type of cache and results vary widely. Your mileage may vary. I would not attempt anything less than 8MB of 70nS or faster RAM. If you can get 60nS RAM, you might be able to unleash the full power of your CPU by removing wait cycles in your BIOS, a huge perk. Most high end systems at the time had 8MB of RAM and that's all you really needed. Don't go over 16MB as this will cause sporadic problems with some software. Sixteen can be nice though because then you can create what's called a RAMdrive, which allows you to use a portion of RAM as a super-fast hard drive for games and stuff. You would copy a portion of the hard drive into RAM so that it can be read much faster than any hard drive would allow. There are a million parameters to RAM like EDO, ECC/NON-ECC, FPM, buffered/unbuffered, different pin counts, different latencies, 3/9 chip, single/double sided, and sometimes all banks on the motherboard need to be populated. RAM is very particular so if you can get exactly the same type of RAM, just more of it per stick or with lower latency, that's a good starting point. This isn't as critical as it would be today because 3D hadn't taken hold of games and software yet. The main benefit of having a good video card is being able to achieve higher resolution in Windows and some software/games. For example, having a 1MB ATI VGA Wonder Card would allow up to 1024x768 resolution and increased color depth at the lower resolutions, which was insane for the time. This tends to be most desirable for CAD systems and makes Windows look a lot better, with smaller icons. Also keep an eye out for cards which are VESA compatible and VGA cards are better than CGA or EGA. Brands I prefer are ATI and TSENG Labs. Probably the biggest deal in the 386 era was sound. Sound tech was exploding in the early 90s before graphics took off and 386s were able to produce anything from noisy PC speaker bleeps to beautiful 16 bit digitized sound effects to stunning wavetable sampled sound. Some of the cards back then were so good that to the lay person, with the right source material, you wouldn't know the difference in quality today. 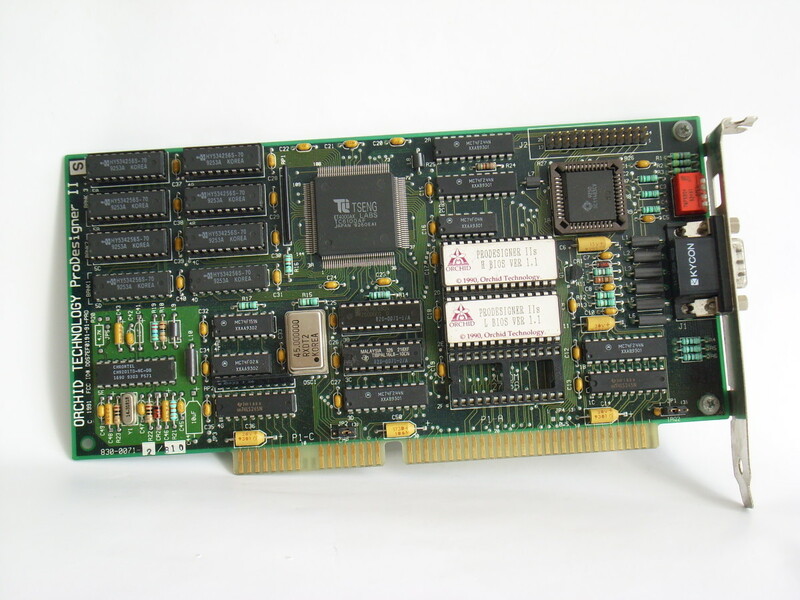 Creative Labs made the highly acclaimed Sound Blaster series of ISA cards at the time, which were fantastic when they weren't riddled with bugs. The other problem with Creative is they make a million and 1 flavours of nearly identical cards, making selection a headache, since some are simply less buggy than others. Many other companies made clones such as the ESS AudioDrive. Basically you want a card that has an OPL3 chip or emulates OPL3 functionality well, which is what matters for sound quality. The other 50% of the value of a sound card of that time period comes from having wavetable support, whether it's integrated, as was the case with all the Sound Blaster AWE cards, or via wavetable header and daughterboard or MPU-401 port, as was the case with the very popular Sound Canvas and MT-32. These upgrades to the base sound card, allow high quality sounds, stored in onboard memory, to be played by instruction files called midi files. Whereas the sound card can simply be used to process a raw audio file, it can also be given a midi file, which tells it which sounds and instruments to play, which it then sends to the midi board so that those sounds and instruments can be retrieved from memory, synthesized in hardware and conveyed to your speakers as a single mixed analog stream. Midi music can sound terrible (especially if it's faked by a soundcard without midi capabilities) or fantastic if it has a wavetable board or midi device plugged in. Finding a midi add-on can be kind of difficult these days. Thankfully, there is a modern solution that is pin-compatible and does the same thing. 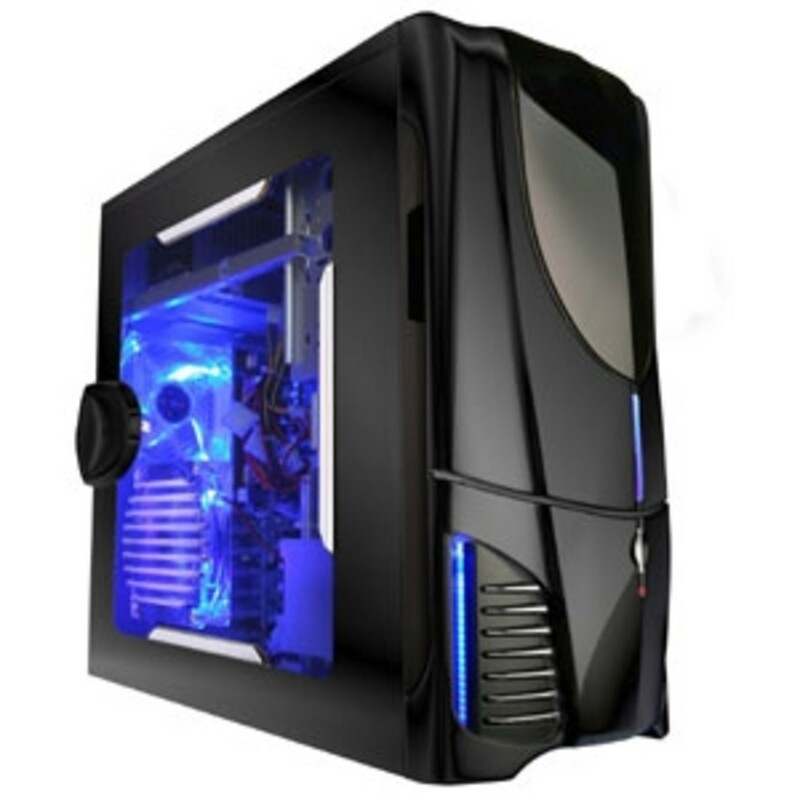 Check out the DreamBlaster S1 or X2. Either of these boards can be plugged into the wavetable header of your sound card with no setup and works immediately. The sound is superb and very faithful to the 386 era with the default sound fonts. Also, SOME sound cards had generic IDE headers on them that would allow you to run something like a CD-ROM drive off of them. These come in handy if you're using a SCSI card for your hard drive but have a normal non-SCSI type CD-ROM drive. Systems like this usually don't have an IDE controller card just for the CD-ROM so you're left with few options to add one. You would have to add a separate IDE controller card just for the CD-ROM if it wasn' already integrated into your motherboard. Therefore sound cards with these headers are an added plus. Make sure it is a generic IDE header though. Some are proprietary and only work with certain CD-ROM brands and models. Check this in advance to avoid disappointment. 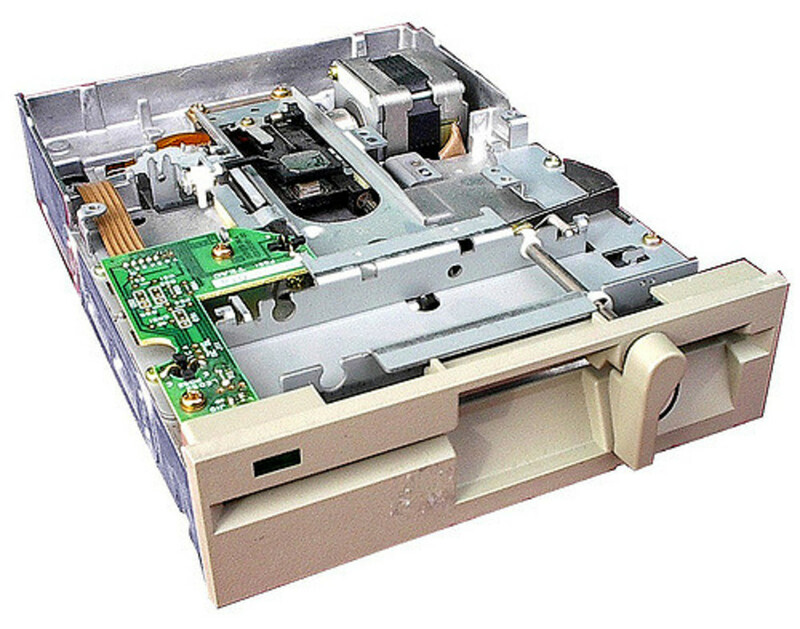 CONTROLLER CARD: Usually, the ability to connect your hard drive, CD-ROM and/or floppy drives is provided by an ISA expansion card with several ribbon cable headers on it. Mostly they are PATA (Parallel ATA), which is the standard, and connect with large flat gray ribbon cables. However, if you want super-efficient, fast-as-possible performance from all your primary and secondary drives, go for a SCSI card, which connects with... bigger...flat gray ribbon cables. A good Adaptec SCSI card will increase the throughput of your hard drive and also speed up your other connected drives as well. 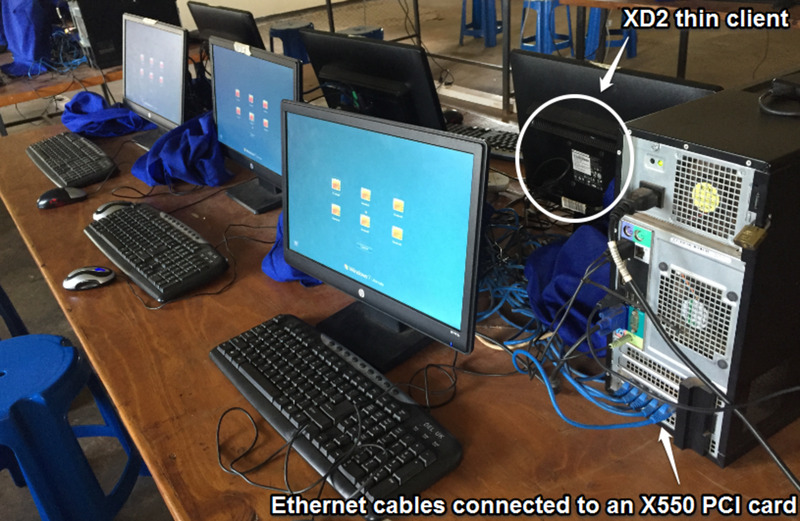 The devices themselves also need to be special SCSI devices with special pin count and special cables. It's a bit harder to set up than PATA because there's a separate BIOS for SCSI and a need to prevent that from conflicting with the system BIOS but well worth it in my opinion. Another benefit of SCSI that makes it attractive for old crap machines is that it puts no overhead on the processor - it acts independently of it. This means the hard drive has no performance penalty on the rest of the computer... a real perk when you barely meet the system requirements for a piece of demanding software. 2GB is all you'll ever need. Get a good Quantum drive if you can and SCSI if you have the money for it as they spin faster and have more cache. If you don't want to deal with SCSI, any IDE hard drive will do but 386 computers and the software that run on them don't like big hard drives so just stick to 2GB or less. Trust me you won't need more. When 386s were common, the drive of choice was usually a Panasonic brand 2x drive (Panasonic was known as Matsushita back then). 2x speed is all you really need too and getting something super fast will actually create problems for you in terms of compatibility. 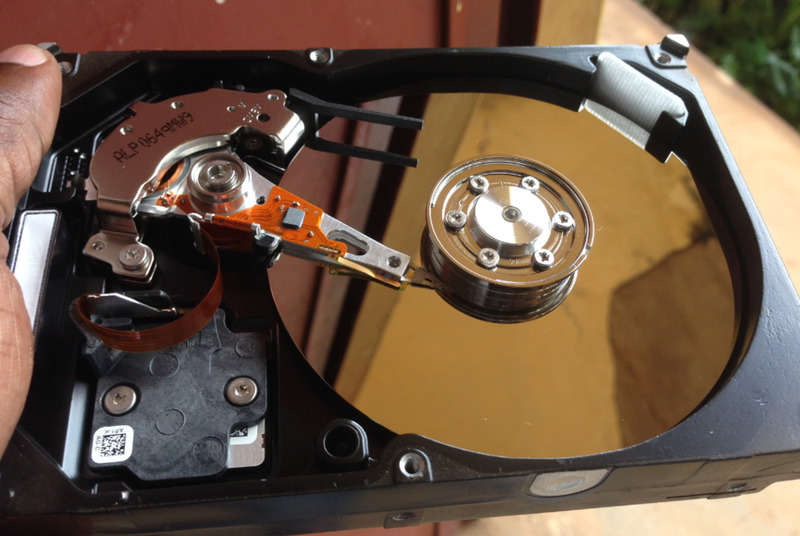 You'll want to make sure the jumpers on the back of your drive are set to "Secondary" because you'll be sharing the same ribbon cable as your hard drive in most cases and you would never prioritize your CD-ROM over your hard drive. Also take note of the small 4-pin socket at the back for CD audio. These were also typical of the era. Basically your CD-ROM can function as a CD player for audio CDs but not the way it would today. Nowadays, the data can be read off the disc, relayed to the CPU through the bus and sent to the sound device, where it is then converted to analog so your speakers or headphones can play it. This is trivial nowadays but in the 386 era, the computational power needed to do this took so long that it could not keep pace with the music. Instead, this limitation was circumvented by doing all the decoding in the CD-ROM drive itself and using a sort of bypass cable to route the analog audio directly to your sound card. Therefore you'll want to get one of these small 4-pin cables and plug one end into your CD-ROM drive and the other will fit into a special socket on your sound card, usually labelled CD_IN or something like that. 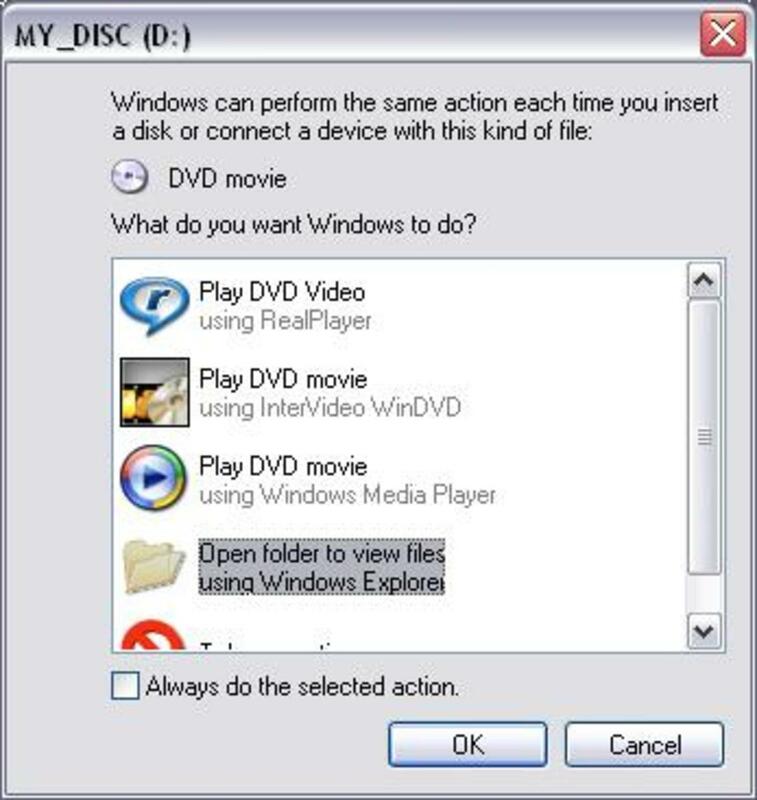 This will let you use your CD-ROM as a CD player without tying up any system resources. As far as floppy drives go, there are the old 3.5" diskettes and the REALLY old 5.25" drives from which we get the word "floppy". I like having both for nostalgia but the 3.5" is really all you need. If you have both, they can go on 1 single floppy cable, which is the smaller flat gray cable with the twist in it. The end of the cable is for drive A: while the one closer to the middle is for drive B: Usually you want your diskette to be A so you can boot from it so stick it at the end of the cable. Nowadays a modem is just about useless for anything except fax but getting a network interface card (NIC) is not a bad idea because it will give you a means of transferring files quickly since your only alternative is floppy disks limited to 1.44MB each. Driver support is probably going to be your biggest concern here. Stick with a name brand like DLink, 3COM, etc. If you do decide to get a modem, it's not completely useless. Aside from its fax capabilities, it can also serve as a phone and access the internet if you a) have a browser that will work today and b) the power dies in your house because the phone line usually still works even when your router doesn't.